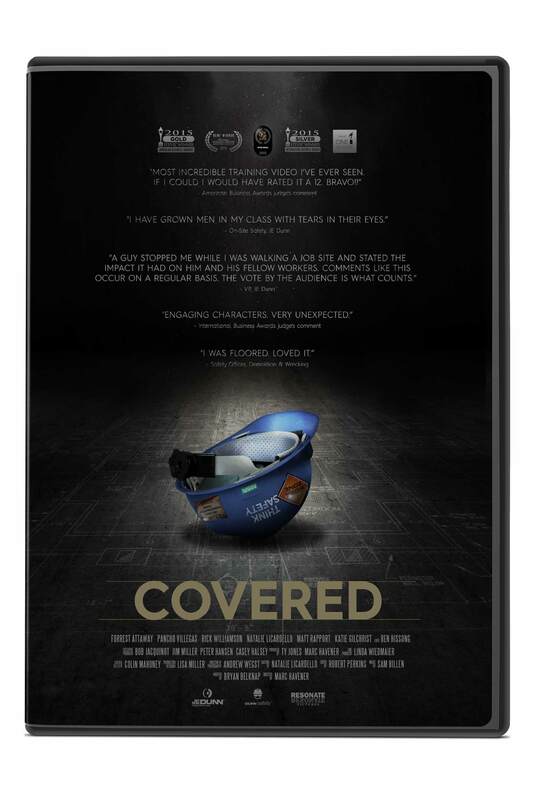 A collaboration between film professionals and one of the nation's top contractors. "Most incredible training video I've ever seen. If I could I would have rated it a 12. Bravo!" COVERED drills into every construction worker's core desires – get home to loved ones safe each night while avoiding mistakes that injure co-workers. Drew’s first day on the job finds him caught between his foreman’s demand to do things correctly and the prevailing “wisdom” of a grizzled veteran who completes tasks with “common sense” shortcuts. It’s a battle over the right way versus right now, where lives hang in the balance. - Impress the "why" of safety into hearts and minds. - Normalize an attitude of safety. - Observe techniques and mindsets that ensure a safe work environment. 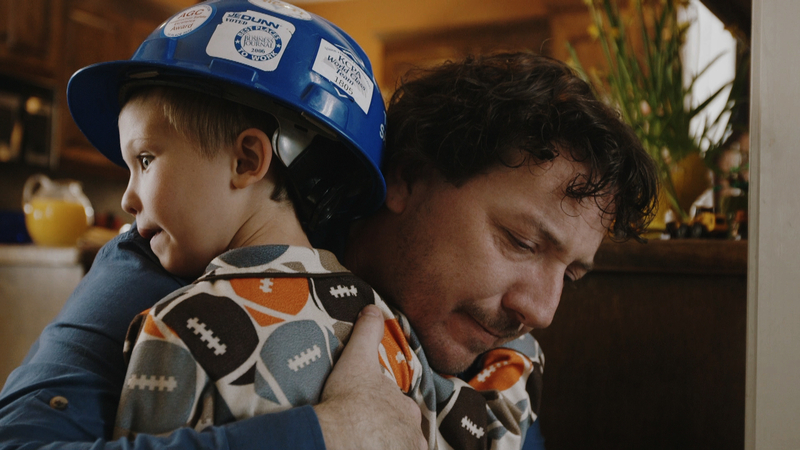 - Powerful story-based messaging that sticks with the employee long after viewing. - Contextualizes the results of good and bad choices. - Witness how taking shortcuts can lead to unintended injuries. - Anticipate accidents before they happen. - Avoid getting pressured into working faster if it's unsafe. 12 min. Includes Discussion Guide. Digital license available. Contact sales@resonatepictures.com for info. "I actually have grown men in my class with tears in their eyes." "People tend to change their safety-related behavior after hearing compelling stories..."
"A guy stopped me while I was walking a job site and stated the impact it had on him. Comments like this occur on a regular basis. The vote by the audience is what counts." Neurosciences shows story is the best vehicle for delivering a message that impacts behavior. A well told story activates neurochemicals responsible for memory and releases the “empathy” chemical - which influences actions and increases motivation. The imaginary world serves as a proving ground for vital social skills, becoming a “flight simulator” for real life situations. FMRI machines have shown that brains on story look similar to participants in the action, not spectators. Experience is the best teacher. Observing an action activates the same part of the brain that lights up when physically experiencing the action. Properly structured stories focus viewer attention and inextricably tie their emotions to the characters, which leads the viewer to internalize the story’s lessons. 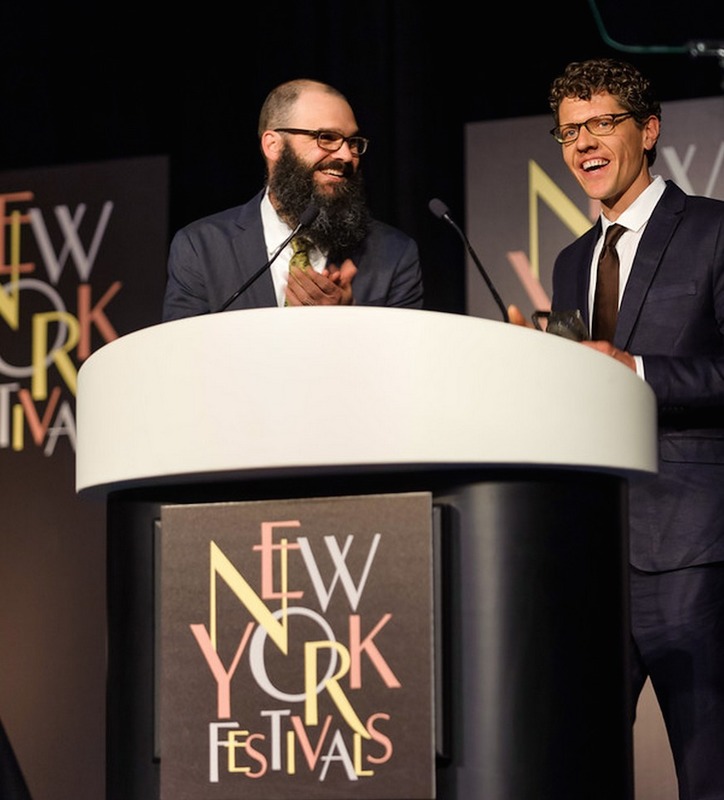 "Stories are the most effective structure to share information, connect people emotionally to a cause and build commitment"
Writer/Producer BRYAN BELKNAP & Director/Producer MARC HAVENER share decades of film industry experience. Between themselves and their hard earned Hollywood network, they've written scripts for Dreamworks, Netflix, Universal, HBO and Sony and have had films appear in 100+ festivals around the world, including Sundance, Raindance, SXSW, winning multiple awards and nominations including the Oscars, Emmys and Peabodys. For 10 years, Resonate Pictures has been lovingly transforming a company’s legalese and policies into vibrant narratives that teach while entertaining. We've had the privilege of working with Altria, Anheuser Bush, Euronet, Mudabala, M&Ms, NRG, Subway and more. "A superb construction job safety resource. Anyone involved in building construction should watch it. It is composed of years of lessons learned and is cast and directed well enough to engage the viewer from a human perspective. The dramatic conclusion brings it all home!" "I was floored. Loved it." 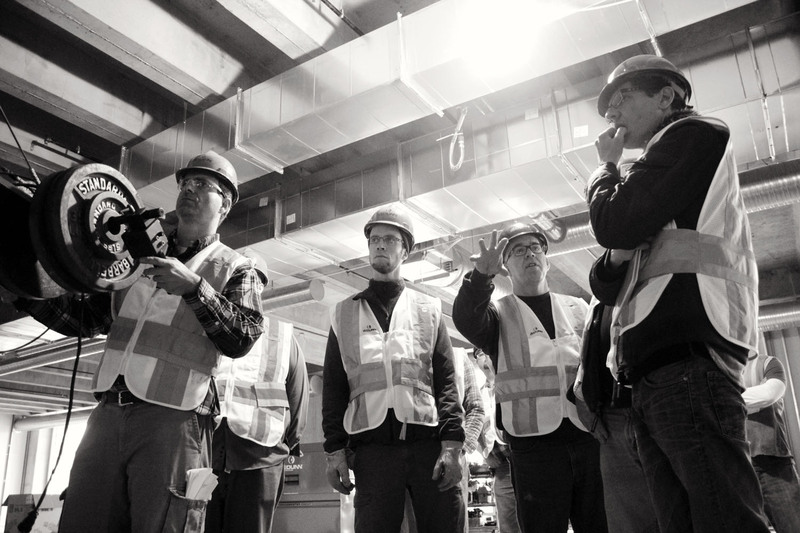 "I've been in the construction trade for 15 years and I've seen many safety videos. This video is by far the best one of all. It really hits home and proves that doing the right thing,even when no one is looking (INTEGRITY) should never be overridden or shunned away!" "Story-based interventions can lead to important and lasting changes in behavior." Dr. Rickett's research revealed workers "exposed to story-based warnings made about 20% fewer safety related assembly errors, compared with teams exposed to equivalent non-narrative warnings." 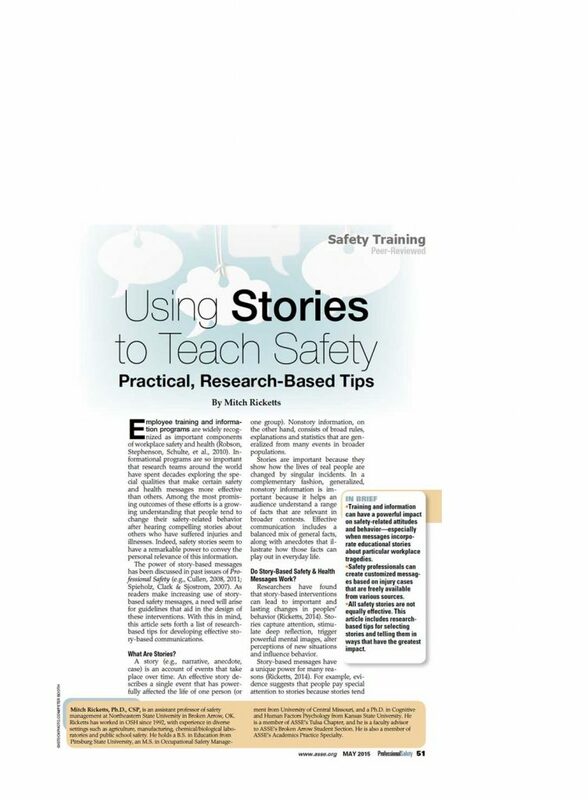 Read the full peer reviewed article "Using Stories To Teach Safety" by Dr. Mitch Ricketts, Assistant Professor of Safety Management, Northeastern State University.